Teva and Celltrion’s attempt to muscle in on the multi-billion dollar US cancer and inflammatory disease drug market has hit a setback after the FDA rejected two key biosimilars because of manufacturing problems. 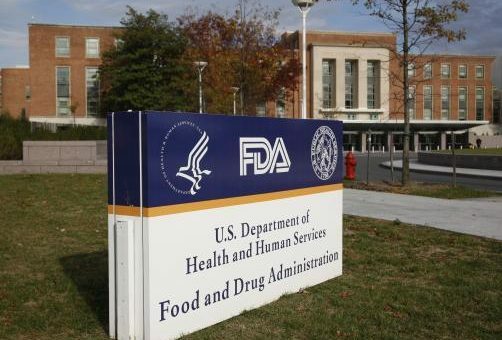 The companies filed biosimilars of Roche’s big-selling Rituxan (rituximab) for inflammatory diseases and certain blood cancers, and Herceptin (trastuzumab) for breast and gastrointestinal cancer with the FDA last year. But following an inspection of Celltrion’s manufacturing site in South Korea, the FDA issued a warning letter highlighting issues such as poor aseptic practice during filling of batches, and slow follow-up to complaints regarding defective batches. As a result of the problems the FDA has issued complete response letters rejecting the biosimilars. In a statement to investors, Celltrion said that it expected to resolve the issues within the coming months, and in time for the expiry of the Herceptin patent in June next year, and the expiry of the Rituxan patent later this year. Celltrion has fared better in Europe with the two biosimilars, where the rituximab biosimilar was approved last year. The firm’s Herceptin biosimilar is an almost dead cert for EU approval in the coming weeks after a positive opinion from the European Medicines Agency’s CHMP regulatory committee in February. Teva and Celltrion announced a partnership to market the Herceptin and Rituxan biosimilars in the US in 2016. Israel-based Teva paid Celltrion $160 million upfront, with $60 million refundable under certain circumstances, and the companies will share profits. The rejection is the last thing Teva needed – saddled with huge debts following its $40.5 billion acquisition of Allergan’s generics business, the firm needs revenues from the biosimilars to help rebuild its business. Last year US Rituxan generated sales of around $4.3 billion, and Herceptin chipped in with $2.8 billion. Although biosimilars are sold at a discount to the originator drugs, they are not sold at the rock-bottom prices seen with generics, so the near-copy biosimilars could generate billions in sales for the Celltrion and Teva once they become established on the market. The other concern for Teva is its potential blockbuster asthma drug, fremanezumab. Among a group of new CGRP-class drugs nearing the market, Teva’s is most favoured by analysts, but it is also manufactured at the same plant as the biosimilars. Celltrion will have to up its game to ensure that there are no similar issues with a US filing of fremanezumab submitted at the end of last year, following encouraging phase 3 trial results. A Celltrion spokesperson said in an emailed statement: “Celltrion is making progress addressing the concerns raised by the FDA in a warning letter issued in January and is committed to working with the agency to fully resolve all outstanding issues with the highest priority and urgency.